To some, leopard print is such an integral part of their wardrobe that it works as a neutral. And if you're one of those people who never tires of leopard print, you'll be glad to hear that some of the coolest new-season pieces are spottier than ever. Ganni, the unofficial brand of the Instagram set, has gone all out leopard for its new collection, with every item possible in this wild animal print. Even those who are anti-leopard will fall for the slingbacks. Prada is also going heavy on the leopard in its accessories department, with handbags and platforms in a beautiful orange-hued leopard. Meanwhile, on the autumn/winter runways, hundreds of iterations on this classic feline pattern have been cropping up. You'll find ocelot dots at Michael Kors Collection, leopard sandals at Ralph Lauren, everything at Dolce & Gabbana is covered in it (where else?) and Balenciaga's outlook was to pair up matching printed coats with giant handbags—something for the experienced leo lovers out there. 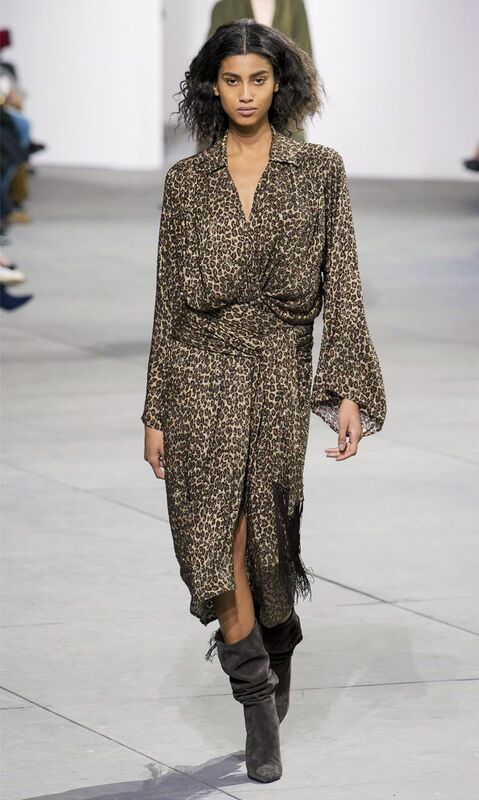 Keep reading to see this trend in action on the catwalks and shop our favourite leopard-print picks below. If you are constantly on the hunt for new leopard purchases, shop our edit of the 10 coolest leopard pieces around right now. We love the bows on these slingbacks. There is also a matching pleated skirt. We love the ruffle on this skirt. Prada really does create the best shoes. Loop this around your ponytail or handbag. The leopard coat is a Kate Moss signature. This bag will be dropping on Matches any day now. If you've still not had your summer holiday. The classic Gucci bamboo tote has been given a leopard upgrade. Next up, see our guide to the 11 A/W 17 fashion looks you need to know.